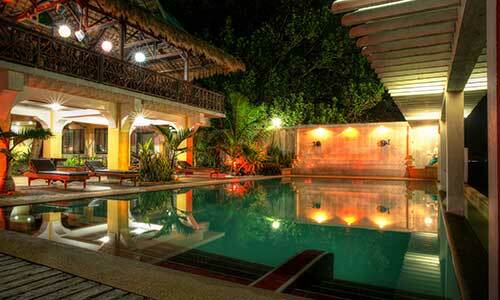 A stay at Jaimee's Hotel & Resort puts you right in the heart of Southern Leyte. Our hotel is situated directly on the beach and within an easy drive of Maasin City, making us the ideal choice for business or for leisure. We also lucky to be surrounded by a number of fantastic tourist attractions, see our top picks for making the most of your trip to Southern Leyte through our Sightseeing page. Jaimee’s Hotel is accessible from any of the locations below. Should you need any more details or arrangements for pickup from your arrival point please do not hesitate to contact us and we shall make the suitable arrangements for you. We are also happy to help make recommendations or travel arrangements to visit local tourist attractions in Southern Leyte. Please visit our Sightseeing page for a quick list of local activities and sights not to be missed. Jaimee's Hotel & Resort, Seaside Ibarra, Maasin City, Southern Leyte, Philippines. 6600.